Discouragement has turned to some hope about my bargain Mac Minis. My general policy since my early Apple II+ days has been to steer clear of getting too mixed up in the Apple hardware world, my impression being that it could be a very expensive diversion, especially when my accounting career required Windows. 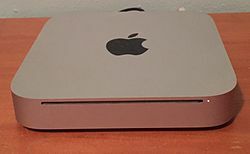 But when two Mac Minis appeared in a local thrift shop, I thought it might be fun to play around with them, at a huge bargain, about the price of a ham sandwich for each one. I discovered they’re pretty old, but I figured even old should be able to do rudimentary things like text editing, the main requirement for my needs. Then @Smokey gave me a very helpful overview of the Mac lineup, the bottom line being that macOS 10.9 might be the minimum requirement, as anything below that might be shunned now in the Apple world. Interestingly, the key seems to be the big push for an HTTPS world. Dave Winer has been saying for a long time that killing off access to HTTP sites will eliminate a huge amount of the older web. I appreciated Dave’s ardor on this subject, as the Dylan bibliography I created decades ago is a static HTTP site. And now the same issue seems to be popping up again, only this time as a barrier to getting anything useful done with my new bargain Mac Minis. I was actually kinda shocked that a 2007 Mac machine could be useless. It was feeding my pessimistic view that it’s all about money, that Apple kills off older OS’s quickly, to encourage people to buy the newer product lines. A similar thing has happened to me this year in the PC world. I have to buy new tax preparation software each year, because tax stuff changes each year of course. That is not cheap, over $1K each year, but a necessary cost of doing business. But to my surprise this year, the software for 2018 returns now requires Win 10 for the first time ever. So I had to buy a new PC, a bit under $1K for a verrrrrry powerful machine. Now tax season is in full swing, so I probably won’t have any time to upgrade the Mac MInis for the next couple of weeks. In the research I had done, it seemed like I could get them up to macOS 10.7, no higher. That being less than 10.9 it seemed like I would need to keep the Minis off the Internet, where browsers might consider an upgraded 10.7 machine to be a pariah. But maybe I could still use them for a text editor at home only. Randall @rmcrob suggested there might be a way around having to buy an expensive monitor, which was a new glimmier of hope. Both he and John @JohnPhilbin suggested MarsEdit as a possible candidate for software I might be able to use. And now the designer of that software has offered an earlier version of MarsEdit that will work down to 10.6. Hey, that sounds like real hope. Thanks, Daniel @danielpunkass ! All of this has strengthened my love for my original high technology world, amateur radio. Hams have been inventing huge technological advances all my life. But my favorite mode of operation, Morse Code, has always been available on any fancy new equipment. And the old machines still work fine for that. I can still use the same Heathkit transmitter I built in 1960 to communicate with hams all over the world. In that respect, ham radio is far more powerful than this crazy Internet universe.